We're all familiar with the disclaimer that comes on some books, films and television programmes - something along the lines of any resemblance to real people or situations being coincidental. But what if that resemblance wasn't coincidental, what if it was done on purpose? In Renee Knight's Disclaimer successful documentary maker Catherine starts reading a book she finds on her bedside table, only to discover that the main character is based on her, and the events of the book mirror something that happened long ago, and that she hoped would never be revealed to her nearest and dearest. Disclaimer initially comes across as your average domestic psychological thriller, but it quickly becomes clear that Knight has crafted something sophisticated and different to the glut of Gone Girl imitations that have come out in the last couple of years. Chapters alternate between Catherine, who is reluctant to reveal details about her past, and the writer of the book, whose motives are initially obscured. Disclaimer features two narrators who are both unreliable in their own ways, making it difficult to work out what really happened, but that's part of the joy of the book. And when the truth is finally revealed, it's nothing you could have imagined. While Disclaimer is a thriller about secrets and revenge, it's also a novel about family dysfunction. At the core of the book is Catherine's family, looking good on the outside, but falling apart on the inside. Catherine and her husband Robert are a picture perfect couple, but their relationship is almost too perfect. Their son Nick clearly has problems, which Catherine can't come to terms with. Neither can Catherine face up to the reality of what's happening with her mum (whose problems feed into a key theme in the book, below). On the other side of the book is the family of the book's writer, which is even more complex than Catherine's. Also central to the novel are memory and perception. The book hinges on how different people perceive the same events, depending on the evidence they have before them, and how even that same evidence can show two different things. Disclaimer is an exercise in interpretation - as the novel moves forward we as readers interpret events that have already happened differently depending on what else we find out. 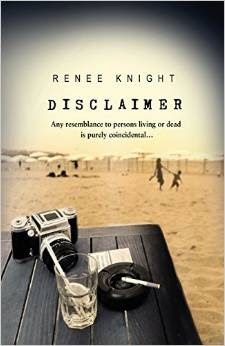 Disclaimer is a clever novel, which twists ever so slightly every time you think you've got a handle on what's happened. Knight's careful plotting makes for an intriguing story, and a welcome and unique addition to, and expansion of, the domestic psychological thriller genre. •Disclaimer is released in the UK on April 9 2015.